I visit Manitoba every year or two. On several visits, while traveling the highway through Erickson to Riding Mountain National Park, these granaries caught my eye. Something about this scene spoke to me. I promised myself I would return with camera and tripod. One Thanksgiving weekend, I made the trip for the sole purpose of making this photograph. Not sure what called to me, what it was about this landscape that demanded to be photographed. The windswept grasses, rolling hills, and gray skies suggest loneliness. 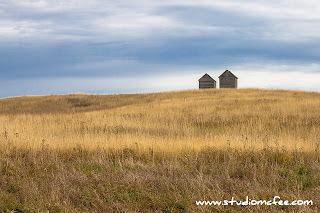 The granaries may represent the pioneering spirit of the prairies - two individuals facing the challenge of the land, the weather, the environment. 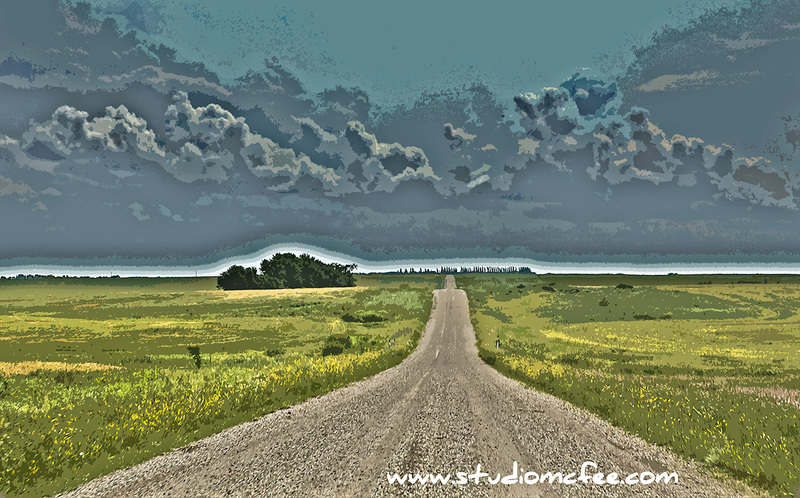 The vastness of the Prairies can leave one feeling small and lonely even if the people are warm and friendly. Whatever my initial motivation, the image continues to captivate me.